Car run very good with low milage 67432,and 2 new main and starter batterys, only one small scratch on the driver seat for same small reason like sensors the check engine light is on,we have already check it with the dealer. On the road this is a vehicle that exudes a presence and refinement in taste few other cars can match while remaining small in form and agile in function. As this is a fine wine classic it requires a sophisticated individualistic owner of good taste to appreciate. This is a car that can move off briskly when asked, but is happiest calmly threading through the twisting turning roads of the countryside or cruising the open roads that exist in a still night. I have used this car as such, but recent expeditions have been infrequent given the necessity for me to operate other cars in the collection to keep them in good order and the limitations on how often I can escape my responsibilities to do so. Therefore this lovely Jag is available from my own collection. I encourage you or your representative to come and view this Jag to verify fit, finish and function. On history, condition and specification: Investment grade classic. The original owner passed the Jag onto his son. The restoration was done to the highest standards approximately 10 years ago and it looks fantastic. I am the third owner if you count the son as the second. The car is currently part of my collection and is regularly exercised and all maintenance items have been attended to. Refinished wood, leather interior fitted to original specifications, carpet replaced (Wilton wool), replaced headliner, Painted in original color with glass out and body stripped of all trim and paint. replaced windshield and seal, replaced rear window seal, new door seals. New tires, new fuel pump this year, carburettors rebuilt this year, spark plug wires, cap rotor and points, fully serviced, freshly rebuilt generator, rebuilt regulator, this year re-cored radiator, new stainless exhaust, new brake booster, new tachometer drive, new speedometer cable, new water pump, new coolant hoses, and brand new SU fuel pump... All parts used were always factory parts, nothing aftermarket. Engine fully rebuilt around 10 years ago and runs like the day it was done with no fault. An amazing car that comes with a complete story and extensive documentation back to the initial purchase. This car would be a nice addition to any fine collection or an excellent fit for an owner/driver to use and enjoy regularly or on those rare occasions. Completely serviced and drives flawlessly. Starts perfectly synchros are perfect, shifts smooth, excellent acceleration and handling. This Jag is a wonderful experience to drive. This was always a fair weather car it has no rust and it has no filler. There are no patch panels. The entire car is 100% original steel including the floor pan and trunk. No metal repairs were necessary anywhere on the vehicle nor carried out due to the dry nature of the vehicles life and exemplary storage conditions. The history on this particular car is very complete. 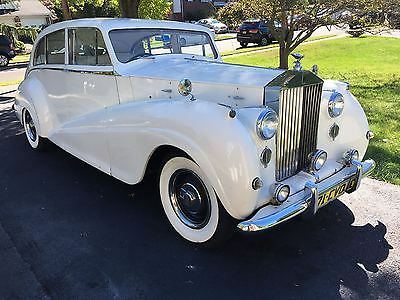 It was originally special ordered and purchased at the jaguar factory in England by an American for $3845.00 or 1858.00pds, I still have the original British license plate and all documentation including approximately 20 letters of correspondence between the original owner and the factory for parts up to 1975. Also with the car are extensive service invoices from the early sixties through a few years ago. The specification ordered and fitted was SE package, Leather, 2.4, Manual and Left hand drive as the original owner expected to send the car back to the US when he was done visiting the country. He left the country before the car did. Due to this fact the car was stored near the Docks of Southhampton at the British Railways garage for a period accumulating a bill around 200pds. The MK1 was eventually sent back to the US on the SS United States. He kept this car until his passing in the early nineties and from reading his correspondence with the factory maintained the car to a standard second to none. 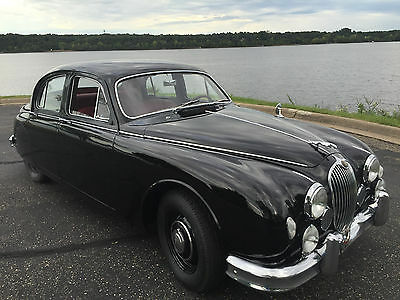 This lovely Jag drives out wonderfully, starts with a flip of the key and a push of the button. There will be no disappointments with this car. I am positive the new owner will be most pleased with the condition of this rare example. If any questions arise please feel free to call me at 651.342.0928 Also, I can certainly assist with either domestic or international shipping. Rich Yang (847) 778-5986 834 N Rush St Chicago Illinois 60611 ? ? ? ? 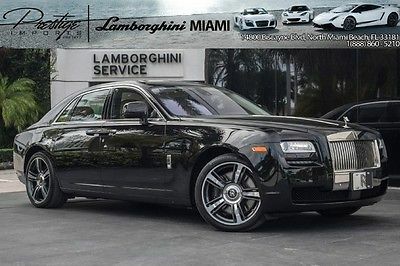 2016 Rolls-Royce Dawn Vehicle Information VIN: SCA666D57GU102116 Stock: R353A Mileage: 3,734 Color: Diamond Black Trans: A Engine: V12 6.6L MPG: 12 City / 19 Highway Drivetrain: RWD Contact Bentley Gold Coast 834 N Rush St Chicago Illinois 60611 View Map Ask for:Rich Yang Contact: ?Contact Us Primary Phone:(847) 778-5986 ? ? ?Credit Application ?Directions to Dealer ?Contact Us Options and Standard Features Options ? Head-Up Display ? 2-Stage Unlocking Doors ? Abs: 4-Wheel ? Active Head Restraints: Dual Front ? Active Suspension ? Air Filtration ? Air Suspension ? Airbag Deactivation: Occupant Sensing Passenger ? Antenna Type: Diversity ? Anti-Theft System: Alarm With Engine Immobilizer ? Armrests: Rear Center Folding With Storage ? Auxiliary Audio Input: Bluetooth ? Body Side Reinforcements: Side Impact Door Beams ? Braking Assist ? Cargo Area Light ? Center Console Trim: Leather ? Center Console: Front Console With Armrest And Storage ? Child Seat Anchors: Latch System ? Clock ? Compass ? Convertible Rear Window: Glass ? Convertible Roof: Power ? Coolant ? Cornering Brake Control ? Cruise Control: Adaptive ? Cupholders: Front ? Dash Trim: Leather ? Daytime Running Lights: Led ? Digital Odometer ? Dimming Rearview Mirror: Auto ? Door Handle Color: Chrome ? Door Trim: Leather ? Driver Assistance App: Roadside Assistance ? Driver Information System ? Driver Seat Power Adjustments: 8 ? Driver Seat: Heated ? Easy Entry: Manual Driver Seat ? Electronic Brakeforce Distribution ? Electronic Parking Brake ? Emergency Interior Trunk Release ? Engine Oil ? Exhaust Tip Color: Chrome ? Exhaust: Dual Tip ? Exterior Entry Lights ? External Temperature Display ? Floor Mat Material: Premium Carpet ? Floor Material: Carpet ? Floor Mats: Front ? Footwell Lights ? Front Air Conditioning Zones: Dual ? Front Air Conditioning: Automatic Climate Control ? Front Airbags: Dual ? Front Brake Diameter: 14.7 ? Front Brake Type: Ventilated Disc ? Front Bumper Color: Body-Color ? Front Headrests: 2 ? Front Seat Type: Bucket ? Front Seatbelts: 3-Point ? Front Shock Type: Gas ? Front Spring Type: Pneumatic ? Front Stabilizer Bar ? Front Suspension Classification: Independent ? Front Suspension Type: Double Wishbone ? Front Wipers: Rain Sensing ? Fuel Economy Display: Mpg ? Grille Color: Chrome ? Hard Drive ? Headlight Cleaners: High Pressure Washers ? Headlights: Adaptive ? Impact Sensor: Post-Collision Safety System ? In-Dash Cd: Mp3 Playback ? Knee Airbags: Dual Front ? Laminated Glass: Acoustic ? Low Fuel ? Memorized Settings: Driver Seat ? Mirror Color: Body-Color ? Multi-Function Display ? Multi-Function Remote: Keyless Entry ? Navigation System: Voice Recognition ? Night Vision Enhancement System ? One-Touch Windows: 2 ? Parking Sensors: Front ? Passenger Seat Power Adjustments: 8 ? Passenger Seat: Heated ? Phone: Voice Activated ? Power Activated Trunk/Hatch: Open And Close ? Power Brakes ? Power Door Locks ? Power Outlet(s): 12V Front And Rear ? Power Steering: Variable/Speed-Proportional ? Power Windows ? Pre-Collision Warning System: Audible Warning ? Push-Button Start ? Radio Data System ? Radio: Am/Fm ? Reading Lights: Front ? Rear Air Conditioning Zones: Dual ? Rear Air Conditioning: Independently Controlled ? Rear Brake Diameter: 14.6 ? Rear Brake Type: Ventilated Disc ? Rear Bumper Color: Body-Color ? Rear Door Type: Soft Close Trunk ? Rear Headrests: 2 ? Rear Seat Type: Bucket ? Rear Seatbelts: 3-Point ? Rear Shock Type: Gas ? Rear Spring Type: Pneumatic ? Rear Stabilizer Bar ? Rear Suspension Classification: Independent ? Rear Suspension Type: Multi-Link ? Retained Accessory Power ? Rollover Protection System ? Run Flat Tires ? Satellite Communications: Rolls-Royce Assist ? Satellite Radio: Siriusxm ? Seatbelt Pretensioners: Front ? Seatbelt Warning Sensor: Front ? Self Leveling Suspension ? Side Airbags: Front ? Side Mirror Adjustments: Power ? Side Mirrors: Auto-Dimming ? Speed Sensitive Volume Control ? Stability Control: Electronic ? Steering Wheel Mounted Controls: Audio ? Steering Wheel Trim: Leather ? Steering Wheel: Power Tilt And Telescopic ? Storage: Door Pockets ? Suspension Control: Electronic ? Taillights: Led ? Tire Pressure Monitoring System ? Tire Type ? Touch-Sensitive Controls ? Traction Control ? Trip Computer ? Trip Odometer ? Upholstery: Premium Leather ? Vanity Mirrors: Dual Illuminating ? Voice Recognition ? Warnings And Reminders: Lamp Failure ? Wheel Spokes: 7 ? Wheels: Alloy ? Window Defogger: Rear ? Window Trim: Chrome ? 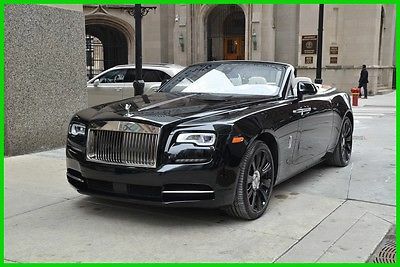 Wireless Data Link: Bluetooth Basic Information Stock Number: R353A VIN Number: SCA666D57GU102116 Style Name: Convertible Make: Rolls-Royce Model: Dawn Model Year: 2016 Vehicle Type: Exotic Interior Color: Seashell Exterior Color: Diamond Black Body Type: Convertible Engine Compressor: Twin Turbo MPG Automatic City: 12 MPG Automatic Highway: 19 Engine Description: V12 6.6L Fuel Type: Gas Fuel Induction: Gasoline Direct Injection Valves Per Cylinder: 4 Aspiration: Twin-Turbocharged DriveTrain Driven Wheels: Rear-Wheel Transmission: A Wheels Rims: Silver Aluminum Drive Train Type: RWD Suspension Active Suspension Independent Suspension: Four-Wheel Leveling Suspension: 4-Corner Stabilizer Bar: Front And Rear Instrumentation Clock Compass External Temp Low Fuel Level Trip Computer Roof and Glass Convertible Roof: Power Convertible Window: Glass Rear Window Front Wipers: Variable Intermittent Privacy Glass: Light Rear Defogger In Car Entertainment Antenna Type: Window Grid Audio System: Siriusxm AM/FM/HD/Satellite Speakers: 18 Seats Drivers: Multi-Level Heating Drivers Height: Power Drivers Lumbar: Power 4-Way Drivers Power: 8 Drivers Ventilated: Ventilated Passenger: Multi-Level Heating Passenger Height: Power Passenger Lumbar: Power 4-Way Passenger Power: 8 Seating Capacity: 4 Front Seat Type: Bucket Upholstery: Leather Center Armrest Heated Convenience Center Console: Full With Covered Storage Cruise Control Cupholders: Front And Rear Door Pockets: Driver And Passenger Overhead Console: Mini Power Outlets: 3 Remote Trunk Release: Power Steering Adjustment: Tilt And Telescopic Steering Power: Speed-Proportional Power Steering Auto Dimming Mirrors: Electrochromatic Power Mirrors: Power Remote W/Tilt Down Power Retractable Mirrors Reverse Tilt Mirror: Dual Mirrors Power Door Locks Windows: Power Windows Navigation System: With Voice Activation Satellite Communication: Rolls-Royce Assist Memory Features Exterior Mirrors Memory Features Number Of Drivers: 2 Memory Features Steering Wheel Comfort Air Conditioning: Automatic Air Filtration: Interior Air Filtration Trunk Lights: Cargo Area Light Center Console Trim: Leather/Genuine Wood Dash Trim: Aluminum/Genuine Wood Mats: Carpet Front And Rear Reading Lights: Front Steering Wheel Trim: Leather Vanity Mirrors: Dual Illuminated Vanity Mirrors Features Bumpers: Body-Colored Door Reinforcement: Side-Impact Door Beam Safety Turning Circle: 41.6 ABS: 4-Wheel Anti Theft System Brake Assist: Braking Assist Daytime Running Light Engine Immobilizer Headlights Auto Delay: Auto Delay Off Front Headrests: Manual Adjustable Rear Headrests: 2 Safety Stability Control Driver And Passenger Airbag Side Airbag Stability Control: Stability Control With Anti-Roll Door Reinforcement: Side-Impact Door Beam Towing and Hauling Tie Downs: Cargo Tie Downs Doors Rear Door Type: Power Close Trunk/Liftgate Dimensions Luggage Capacity: 9 Cu.Ft. Length: 208.1 Inches Width: 76.7 Inches Height: 59.1 Inches Wheelbase: 122.5 Inches Max Gross Vehicle Weight: 6,700 Lbs. Curb Weight: 5,644 Lbs. ? Apply Now Secure Credit Application Applying for a vehicle loan online is one of the quickest and easiest application methods. Our secure application is easy to complete, all you need are a few personal and employment details. Terms Placing a Bid: Your bid constitutes a legally binding contract to purchase this vehicle. Please do not bid if you're not seriously interested or financially able to purchase this vehicle. 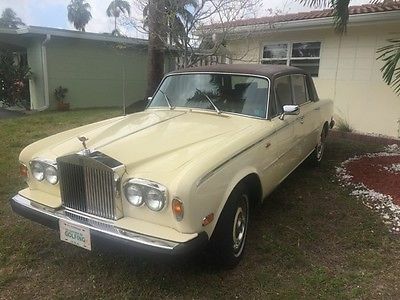 Please read eBay's User AgreementBentley Gold Coast reserves the right to, Obtain and verify the registered information of all users who bid on this auction. Cancel any and all bids at our discretion, or end the auction early if necessary.Bidders Age: You must be 18 years of age or older to Bid. Special eBay Bid Retraction Rules: Please read eBay's "Retracting a Bid" If you place a bid before the last 12-hour period of the auction: You may retract that bid before that last 12-hour period but only for exceptional circumstances. You will not be allowed to retract that bid during the last 12-hour period of the auction. If you place a bid during the last 12-hour period of the auction: You will be allowed to retract the bid for exceptional circumstances but only if you do so within one hour after placing the bid.Funds & Financing: For help in arranging for a Pre-Approved loan or for any questions please e-mail or phone Rich at (847) 778-5986 prior to bidding. Buyers Inspection: Bentley Gold Coast has done our best to disclose all information known about this vehicle for auction. Bentley Gold Coast welcomes a buyers inspection. If you plan to have a buyers inspection, please make sure you inspect the vehicle prior to the auction ending. Inspection fees if any are Buyers responsibility. Representations and Warranties made by seller: This vehicle is being sold "as is". Manufacturer's warranties may still apply. Extended warranty may be available, e-mail or phone Rich at (847) 778-5986 for details. No representations or warranties are made by seller, nor are any representations or warranties relied upon by bidders in making bids. Taxes and Registration fees: Out of state buyers are responsible for all state, county, city taxes and fees, as well as title service fees in the state that the vehicle will be registered. All taxes and fees must be paid in full in order for vehicle to be titled and registered. Title Information: Vehicles titles may be held by banks or lenders as collateral for loans. In many cases there is a delay in receiving the original instruments up to 21 days from the time we pay a vehicle off. While we usually have all titles in our possession at closing, there are occasions where we may be waiting for them to arrive. If payment is made by cashier's or personal checks we will hold all titles for 10 days or until funds have cleared. Shipping & Delivery: All shipping charges are buyer's responsibility. Bentley Gold Coast will help with shipping arrangements but will not be responsible in any way for claims arising from shipping damage!Licensed Carriers are generally insured for $3,000,000.00. We assume no responsibility for damages incurred after the vehicle leaves our showroom. All shipping arrangements are provided by Bentley Gold Coast as a courtesy. We are not affiliated with any carrier. Any claims or other communication regarding shipment of vehicles will be between you and the shipper, not with Bentley Gold Coast. The amount of time it takes for delivery is dependent on the carrier, but is generally 7-14 days from the date the vehicle is picked up from our facility until it is delivered to your destination. Verify with the shipper for an Estimate Time of Arrival to be sure. Finalizing your Purchase: Bentley Gold Coast will contact the successful high bidder by e-mail after the auction closes. Successful high bidder MUST communicate with Rich at Bentley Gold Coast by e-mail or phone (847) 778-5986 within 24 hours of the auction ending to make arrangements to complete their transaction. If we cannot confirm your intention to buy or the sale is not completed within 5 days, we reserve the right to relist this vehicle or sell to any other qualified buyer. In order to secure bid on vehicle, Successful bidder (BUYER) must within 24 hours of bid closing send to Seller a Deposit in the amount of 10% by major credit card, cash in person or bank certified funds. Within 72 hours of bid closing, Buyer must send balance of funds by cash in person or bank certified funds to Seller. At time of sending initial deposit, Buyer MUST fax copy of their State issued valid Driver License. Furthermore, before said vehicle is released for shipment to Buyer, all other Sale related and title related paperwork must be signed and returned complete to Seller.Fees There are 3 other fees associated with the transaction. Doc fee $168.43 ,$30.00 out of state drive-away tag and $50 for UPS Overnight (to and from) for the docs. Copyright © 2017 Auction123 - All rights reserved. - Disclaimer +- Auction123 (a service and listing/software company) and the Seller has done his/her best to disclose the equipment/condition of this vehicle/purchase. However, Auction123 disclaims any warranty as to the accuracy or to the working condition of the vehicle/equipment listed. The purchaser or prospective purchaser should verify with the Seller the accuracy of all the information listed within this ad. Selling a Vehicle? Create Professional Listings Fast and Easy. Click Here! Rich Yang (847) 778-5986 834 N Rush St Chicago Illinois 60611 ? ? ? ? 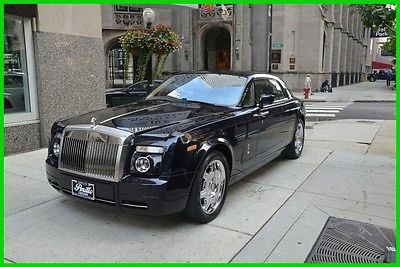 2009 Rolls-Royce Phantom Coupe Vehicle Information VIN: SCA3C67509UX32067 Stock: GC1211 Mileage: 4,914 Color: Black Velvet Trans: A Engine: V12 6.7L MPG: 11 City / 18 Highway Drivetrain: RWD Contact Bentley Gold Coast 834 N Rush St Chicago Illinois 60611 View Map Ask for:Rich Yang Contact: ?Contact Us Primary Phone:(847) 778-5986 ? ? ?Credit Application ?Directions to Dealer ?Contact Us Options and Standard Features Options ? Abs: 4-Wheel ? Active ? Air Suspension ? Ambient Lighting ? Auxiliary Audio Input: Jack ? Body Side Reinforcements: Side Impact Door Beams ? Braking Assist ? Bumper Color: Body-Color ? Cargo Area Light ? Cd Changer: 6 ? Center Console Trim: Leather ? Center Console: Front Console With Armrest And Storage ? Chrome Accents ? Cornering Brake Control ? Dash Trim: Alloy ? Door Handle Color: Metallic ? Door Trim: Alloy ? Driver Adjustable Suspension: Height ? Easy Entry: Power Driver And Passenger Seat ? Exhaust Tip Color: Polished Aluminum ? Exhaust: Dual Exhaust Tips ? Exterior Mirrors: Power ? Floor Mat Material: Carpet ? Front Air Conditioning Zones: Dual ? Front Air Conditioning: Climate Control ? Front Airbags: Dual ? Front Axle: Anti-Dive ? Front Brake Diameter: 14.7 ? Front Brakes: Ventilated Disc ? Front Headrests: Height Adjustable ? Front Seat Type: Bucket ? Front Spring Type: Pneumatic Springs ? Front Suspension Classification: Independent ? Front Suspension Type: Double Wishbones ? Grille Color: Silver ? Headlights: Led ? In-Dash Cd: Single Disc ? Leather And Wood ? Leveling: Self Leveling Suspension ? Mirror Color: Body-Color ? Navigation System: Touch Screen Display ? Number Of Front Headrests: 2 ? Number Of Rear Headrests: 2 ? Passenger Airbag Deactivation: Occupant Sensing Deactivation ? Phone Wireless Data Link: Bluetooth ? Phone: Voice Activated ? Power Adjustments ? Power Door Locks ? Power Steering ? Power Windows ? Premium Brand: Lexicon ? Radio: Am/Fm ? Rear Axle: Anti-Squat ? Rear Brake Diameter: 14.6 ? Rear Brakes: Ventilated Disc ? Rear Defogger ? Rear Spring Type: Pneumatic Springs ? Rear Suspension Classification: Independent ? Rear Suspension Type: Multi-Link ? Remote Cd Changer Location: In Glove Compartment ? Run Flat ? Seatbelt Pretensioners: Front ? Side Airbags: Front ? Side Curtain Airbags: Front And Rear ? Soft Close Doors: And Trunk ? Stability Control ? Stabilizer Bar(s): Rear ? Steering Wheel Mounted Controls: Audio And Cruise Controls ? Steering Wheel Trim: Leather ? Subwoofer: 2 ? Surround Audio: 7.1 ? Tachometer ? Total Number Of Speakers: 15 ? Traction Control ? Type: Bench ? Upholstery: Premium Leather ? Watts: 420 ? Window Trim: Silver Basic Information Stock Number: GC1211 VIN Number: SCA3C67509UX32067 Style Name: Coupe Make: Rolls-Royce Model: Phantom Coupe Model Year: 2009 Vehicle Type: Exotic Interior Color: Moccasin Exterior Color: Blue Velvet Body Type: Coupe Engine MPG Automatic City: 11 MPG Automatic Highway: 18 Engine Description: V12 6.7L Fuel Type: Gas Fuel Induction: Gasoline Direct Injection Valves Per Cylinder: 4 Aspiration: Normal DriveTrain Driven Wheels: Rear-Wheel Transmission: A Wheels Rims: Silver Aluminum Drive Train Type: RWD Suspension Active Suspension Independent Suspension: Four-Wheel Leveling Suspension: 4-Corner Stabilizer Bar: Front And Rear Instrumentation Clock Compass External Temp Low Fuel Level Trip Computer Roof and Glass Front Wipers: Variable Intermittent Privacy Glass: Light Rear Defogger In Car Entertainment Antenna Type: Window Grid Audio System: SIRIUS AM/FM/Satellite Speakers: 15 Seats Drivers: Multi-Level Heating Drivers Height: Power Drivers Lumbar: Power 2-Way Drivers Power: 8 Passenger: Multi-Level Heating Passenger Height: Power Passenger Lumbar: Power 2-Way Passenger Power: 8 Seating Capacity: 4 Front Seat Type: Bucket Upholstery: Leather Center Armrest Convenience Center Console: Full With Covered Storage Cruise Control Cupholders: Front And Rear Door Pockets: Driver And Passenger Overhead Console: Mini Power Outlets: 4 Remote Trunk Release: Power Seatback Storage: 2 Steering Adjustment: Tilt And Telescopic Steering Power: Speed-Proportional Power Steering Universal Remote Transmitter Auto Dimming Mirrors: Electrochromatic Power Mirrors: Power Remote W/Tilt Down Power Retractable Mirrors Reverse Tilt Mirror: Dual Mirrors Power Door Locks Windows: Power Windows Navigation System: With Voice Activation Phone: Integrated Satellite Communication: Integrated Memory Features Exterior Mirrors Memory Features Number Of Drivers: 4 Memory Features Steering Wheel Comfort Air Conditioning: Automatic Air Filtration: Interior Air Filtration Trunk Lights: Cargo Area Light Center Console Trim: Leather/Genuine Wood Dash Trim: Aluminum/Genuine Wood Door Trim: Genuine Wood Reading Lights: Front And Rear Steering Wheel Trim: Leather/Aluminum Vanity Mirrors: Dual Illuminated Vanity Mirrors Features Bumpers: Body-Colored Door Reinforcement: Side-Impact Door Beam Safety Turning Circle: 43 ABS: 4-Wheel Head Airbags: Curtain 1St And 2Nd Row Anti Theft System Brake Assist: Braking Assist Engine Immobilizer Headlights Auto Delay: Auto Delay Off Front Headrests: Manual Adjustable Rear Headrests: 2 Safety Stability Control Driver And Passenger Airbag Side Airbag Stability Control Door Reinforcement: Side-Impact Door Beam Doors Rear Door Type: Power Open And Close Trunk Dimensions Front Head Room: 38.6 Inches Front Hip Room: 61.5 Inches Front Shoulder Room: 58.7 Inches Rear Head Room: 37.1 Inches Rear Hip Room: 49.8 Inches Rear Shoulder Room: 51.1 Inches Luggage Capacity: 10 Cu.Ft. Length: 220.8 Inches Width: 78.2 Inches Height: 62.7 Inches Wheelbase: 130.7 Inches Max Gross Vehicle Weight: 6,274 Lbs. Curb Weight: 5,798 Lbs. ? Apply Now Secure Credit Application Applying for a vehicle loan online is one of the quickest and easiest application methods. Our secure application is easy to complete, all you need are a few personal and employment details. Terms Placing a Bid: Your bid constitutes a legally binding contract to purchase this vehicle. Please do not bid if you're not seriously interested or financially able to purchase this vehicle. Please read eBay's User AgreementBentley Gold Coast reserves the right to, Obtain and verify the registered information of all users who bid on this auction. Cancel any and all bids at our discretion, or end the auction early if necessary.Bidders Age: You must be 18 years of age or older to Bid. Special eBay Bid Retraction Rules: Please read eBay's "Retracting a Bid" If you place a bid before the last 12-hour period of the auction: You may retract that bid before that last 12-hour period but only for exceptional circumstances. You will not be allowed to retract that bid during the last 12-hour period of the auction. If you place a bid during the last 12-hour period of the auction: You will be allowed to retract the bid for exceptional circumstances but only if you do so within one hour after placing the bid.Funds & Financing: For help in arranging for a Pre-Approved loan or for any questions please e-mail or phone Rich at (847) 778-5986 prior to bidding. Buyers Inspection: Bentley Gold Coast has done our best to disclose all information known about this vehicle for auction. Bentley Gold Coast welcomes a buyers inspection. If you plan to have a buyers inspection, please make sure you inspect the vehicle prior to the auction ending. Inspection fees if any are Buyers responsibility. Representations and Warranties made by seller: This vehicle is being sold "as is". Manufacturer's warranties may still apply. Extended warranty may be available, e-mail or phone Rich at (847) 778-5986 for details. No representations or warranties are made by seller, nor are any representations or warranties relied upon by bidders in making bids. Taxes and Registration fees: Out of state buyers are responsible for all state, county, city taxes and fees, as well as title service fees in the state that the vehicle will be registered. All taxes and fees must be paid in full in order for vehicle to be titled and registered. Title Information: Vehicles titles may be held by banks or lenders as collateral for loans. In many cases there is a delay in receiving the original instruments up to 21 days from the time we pay a vehicle off. While we usually have all titles in our possession at closing, there are occasions where we may be waiting for them to arrive. If payment is made by cashier's or personal checks we will hold all titles for 10 days or until funds have cleared. Shipping & Delivery: All shipping charges are buyer's responsibility. Bentley Gold Coast will help with shipping arrangements but will not be responsible in any way for claims arising from shipping damage!Licensed Carriers are generally insured for $3,000,000.00. We assume no responsibility for damages incurred after the vehicle leaves our showroom. All shipping arrangements are provided by Bentley Gold Coast as a courtesy. We are not affiliated with any carrier. Any claims or other communication regarding shipment of vehicles will be between you and the shipper, not with Bentley Gold Coast. The amount of time it takes for delivery is dependent on the carrier, but is generally 7-14 days from the date the vehicle is picked up from our facility until it is delivered to your destination. Verify with the shipper for an Estimate Time of Arrival to be sure. Finalizing your Purchase: Bentley Gold Coast will contact the successful high bidder by e-mail after the auction closes. Successful high bidder MUST communicate with Rich at Bentley Gold Coast by e-mail or phone (847) 778-5986 within 24 hours of the auction ending to make arrangements to complete their transaction. If we cannot confirm your intention to buy or the sale is not completed within 5 days, we reserve the right to relist this vehicle or sell to any other qualified buyer. In order to secure bid on vehicle, Successful bidder (BUYER) must within 24 hours of bid closing send to Seller a Deposit in the amount of 10% by major credit card, cash in person or bank certified funds. Within 72 hours of bid closing, Buyer must send balance of funds by bank wire transfer, cash in person, bank certified funds to Seller. At time of sending initial deposit, Buyer MUST fax copy of their State issued valid Driver License. Furthermore, before said vehicle is released for shipment to Buyer, all other Sale related and title related paperwork must be signed and returned complete to Seller.Fees There are 3 other fees associated with the transaction. Doc fee $168.43 ,$30.00 out of state drive-away tag and $50 for UPS Overnight (to and from) for the docs. Copyright © 2017 Auction123 - All rights reserved. - Disclaimer +- Auction123 (a service and listing/software company) and the Seller has done his/her best to disclose the equipment/condition of this vehicle/purchase. However, Auction123 disclaims any warranty as to the accuracy or to the working condition of the vehicle/equipment listed. The purchaser or prospective purchaser should verify with the Seller the accuracy of all the information listed within this ad. Selling a Vehicle? Create Professional Listings Fast and Easy. Click Here! Rich Yang (847) 778-5986 834 N Rush St Chicago Illinois 60611 ? ? ? ? 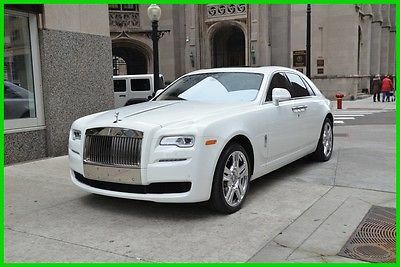 2015 Rolls-Royce Ghost Vehicle Information VIN: SCA664S5XFUX53424 Stock: GC-RICH21 Mileage: 4,796 Color: English White Trans: A Engine: V12 6.6L MPG: 13 City / 21 Highway Drivetrain: RWD Contact Bentley Gold Coast 834 N Rush St Chicago Illinois 60611 View Map Ask for:Rich Yang Contact: ?Contact Us Primary Phone:(847) 778-5986 ? ? ?Credit Application ?Directions to Dealer ?Contact Us Options and Standard Features Options ? 2-Stage Unlocking: Remote ? Abs: 4-Wheel ? Active Head Restraints: Dual Front ? Active Suspension ? Air Filtration ? Air Suspension ? Airbag Deactivation: Occupant Sensing Passenger ? Antenna Type: Diversity ? Anti-Theft System: Alarm With Engine Immobilizer ? Auxiliary Audio Input: Bluetooth ? Axle Ratio: 2.81 ? Body Side Reinforcements: Side Impact Door Beams ? Braking Assist ? Cargo Area Light ? Center Console Trim: Leather And Wood ? Center Console: Front Console With Armrest And Storage ? Child Safety Locks ? Child Seat Anchors: Latch System ? Clock ? Compass ? Coolant ? Cornering Brake Control ? Cruise Control ? Dash Trim: Leather ? Daytime Running Lights: Led ? Digital Odometer ? Dimming Rearview Mirror: Auto-Dimming ? Door Handle Color: Chrome ? Door Trim: Leather And Wood ? Driver Seat Power Adjustments: 8 ? Driver Seat: Multi-Level Heating ? Electronic Brakeforce Distribution ? Electronic Parking Brake ? Engine Oil ? Exhaust Tip Color: Chrome ? Exhaust: Dual Exhaust Tips ? Exterior Entry Lights ? Exterior Mirrors: Auto-Dimming ? External Temperature Display ? Floor Mat Material: Premium Carpet ? Floor Material: Carpet ? Floor Mats: Front And Rear ? Front Air Conditioning Zones: Dual ? Front Air Conditioning: Automatic Climate Control ? Front Airbags: Dual ? Front Brake Diameter: 14.7 ? Front Brakes: Ventilated Disc ? Front Bumper Color: Body-Color ? Front Headrests: 2 ? Front Seat Type: Bucket ? Front Seatbelts: 3-Point ? Front Spring Type: Pneumatic ? Front Suspension Classification: Independent ? Front Suspension Type: Double Wishbones ? Front Wipers: Rain Sensing ? Fuel Economy Display: Mpg And Range ? Glove Compartment: Light ? Grille Color: Chrome ? Hard Drive ? Headlight Cleaners: High Pressure Washers ? Headlights: Auto Delay Off ? Illuminated Entry And Panic Alarm ? Impact Sensor: Post-Collision Safety System ? Includes Driver Seat ? Includes Exterior Mirrors ? Includes Passenger Seat ? Includes Steering Wheel ? In-Dash Cd: Single Disc ? Interior Accents: Aluminum ? Knee Airbags: Dual Front ? Laminated Glass: Acoustic ? Lockout Button ? Low Fuel ? Mirror Color: Body-Color ? Mp3 Player: Cd Mp3 Playback ? Multi-Function Display ? Multi-Function Remote: Keyless ? Navigation System: Dvd Navigation System W/Voice Activation ? Number Of Drivers: 2 ? One-Touch Windows: 4 ? Parking Sensors: Front And Rear ? Passenger Seat Power Adjustments: 8 ? Passenger Seat: Multi-Level Heating ? Power Activated Trunk/Hatch: Open And Close ? Power Brakes ? Power Door Locks: Auto-Locking ? Power Outlet(s): 12V Front And Rear ? Power Steering: Speed-Proportional ? Power Windows ? Radio Data System ? Radio: Am/Fm ? Reading Lights: Front And Rear ? Rear Air Conditioning Zones: Dual ? Rear Air Conditioning: Automatic Climate Control ? Rear Brake Diameter: 14.6 ? Rear Brakes: Ventilated Disc ? Rear Bumper Color: Body-Color ? Rear Door Type: Soft Close ? Rear Headrests: 2 ? Rear Heat Vents ? Rear Seat Center Armrest: Folding With Storage ? Rear Seat Type: Bench ? Rear Seat: Heated Second Row ? Rear Spring Type: Pneumatic ? Rear Suspension Classification: Independent ? Rear Suspension Type: Multi-Link ? Retained Accessory Power ? Run Flat Tires ? Satellite Communications: Rolls-Royce Assist ? Satellite Radio: Siriusxm ? Seatbelt Pretensioners: Front And Rear ? Seatbelt Warning Sensor: Driver And Passenger ? Second Row Seatbelts: 3-Point ? Self Leveling Suspension ? Side Airbags: Front ? Side Curtain Airbags: Front And Rear ? Side Door Type: Soft Close ? Speed Sensitive Volume Control ? Stability Control: Electronic ? Stabilizer Bar: Front And Rear ? Steering Ratio: 19.9 ? Steering Wheel Mounted Controls: Audio And Cruise Controls ? Steering Wheel Trim: Leather ? Steering Wheel: Power Tilt And Telescopic ? Storage: Front And Rear Door Pockets ? Suspension Control: Electronic ? Taillights: Led ? Tinted Glass ? Tire Pressure Monitoring System ? Tire Type: Performance ? Total Number Of Speakers: 18 ? Traction Control ? Trip Computer ? Trip Odometer ? Turns Lock-To-Lock: 3.1 ? Universal Remote Transmitter ? Upholstery: Premium Leather ? Vanity Mirrors: Dual Illuminating ? Voice Recognition ? Warnings And Reminders: Lamp Failure ? Wheel Spokes: Multi-Spoke ? Wheel Type: Alloy ? Window Defogger: Rear ? Window Trim: Chrome ? Wireless Data Link: Bluetooth Basic Information Stock Number: GC-RICH21 VIN Number: SCA664S5XFUX53424 Make: Rolls-Royce Model: Ghost Model Year: 2015 Vehicle Type: Sedan Interior Color: Seashell Exterior Color: English White Body Type: Sedan Engine Compressor: Twin Turbo MPG Automatic City: 13 MPG Automatic Highway: 21 Engine Description: V12 6.6L Fuel Type: Gas Fuel Induction: Gasoline Direct Injection Valves Per Cylinder: 4 Aspiration: Twin-Turbocharged DriveTrain Driven Wheels: Rear-Wheel Transmission: A Wheels Rims: Silver Aluminum Drive Train Type: RWD Suspension Active Suspension Independent Suspension: Four-Wheel Leveling Suspension: 4-Corner Stabilizer Bar: Front And Rear Instrumentation Clock Compass External Temp Low Fuel Level Trip Computer Roof and Glass Front Wipers: Variable Intermittent Privacy Glass: Light Rear Defogger In Car Entertainment Antenna Type: Window Grid Audio System: Siriusxm AM/FM/HD/Satellite Speakers: 16 Seats Drivers: Multi-Level Heating Drivers Height: Power Drivers Lumbar: Power 4-Way Drivers Power: 10 Passenger: Multi-Level Heating Passenger Height: Power Passenger Lumbar: Power 4-Way Passenger Power: 10 Seating Capacity: 5 Front Seat Type: Bucket Upholstery: Leather Center Armrest Heated Convenience Center Console: Full With Covered Storage Cruise Control Cupholders: Front And Rear Door Pockets: Driver, Passenger And Rear Overhead Console: Mini Power Outlets: 3 Remote Trunk Release: Power Seatback Storage: 2 Steering Adjustment: Tilt And Telescopic Steering Power: Speed-Proportional Power Steering Auto Dimming Mirrors: Electrochromatic Power Mirrors: Power Remote W/Tilt Down Power Retractable Mirrors Reverse Tilt Mirror: Dual Mirrors Power Door Locks Windows: Power Windows Navigation System: With Voice Activation Phone: Integrated Satellite Communication: Rolls-Royce Assist Memory Features Exterior Mirrors Memory Features Number Of Drivers: 2 Memory Features Steering Wheel Comfort Air Conditioning: Automatic Air Filtration: Interior Air Filtration Trunk Lights: Cargo Area Light Center Console Trim: Leather/Genuine Wood Dash Trim: Aluminum/Genuine Wood Door Trim: Genuine Wood Mats: Carpet Front And Rear Reading Lights: Front And Rear Steering Wheel Trim: Leather Vanity Mirrors: Dual Illuminated Vanity Mirrors Features Aux Engine Cooler: Regular Duty Bumpers: Body-Colored Door Reinforcement: Side-Impact Door Beam Safety ABS: 4-Wheel Head Airbags: Curtain 1St And 2Nd Row Anti Theft System Brake Assist: Braking Assist Safety Locks: Manual Daytime Running Light Engine Immobilizer Headlights Auto Delay: Auto Delay Off Front Headrests: Power Adjustable Rear Headrests: 2 Rear Center Seatbelt: 3-Point Belt Safety Stability Control Driver And Passenger Airbag Side Airbag Stability Control: Stability Control With Anti-Roll Door Reinforcement: Side-Impact Door Beam Towing and Hauling Tie Downs: Cargo Tie Downs Doors Rear Door Type: Power Close Trunk/Liftgate Side Door Type: Reverse Opening Dimensions Front Head Room: 40.6 Inches Front Shoulder Room: 59.4 Inches Front Leg Room: 41.7 Inches Rear Head Room: 39.0 Inches Rear Shoulder Room: 55.8 Inches Luggage Capacity: 17 Cu.Ft. Width: 76.7 Inches Height: 61.0 Inches Max Gross Vehicle Weight: 6,482 Lbs. ? Apply Now Secure Credit Application Applying for a vehicle loan online is one of the quickest and easiest application methods. Our secure application is easy to complete, all you need are a few personal and employment details. Terms Placing a Bid: Your bid constitutes a legally binding contract to purchase this vehicle. Please do not bid if you're not seriously interested or financially able to purchase this vehicle. Please read eBay's User AgreementBentley Gold Coast reserves the right to, Obtain and verify the registered information of all users who bid on this auction. Cancel any and all bids at our discretion, or end the auction early if necessary.Bidders Age: You must be 18 years of age or older to Bid. Special eBay Bid Retraction Rules: Please read eBay's "Retracting a Bid" If you place a bid before the last 12-hour period of the auction: You may retract that bid before that last 12-hour period but only for exceptional circumstances. You will not be allowed to retract that bid during the last 12-hour period of the auction. If you place a bid during the last 12-hour period of the auction: You will be allowed to retract the bid for exceptional circumstances but only if you do so within one hour after placing the bid.Funds & Financing: For help in arranging for a Pre-Approved loan or for any questions please e-mail or phone Rich at (847) 778-5986 prior to bidding. 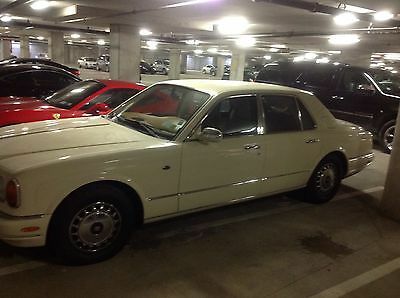 Buyers Inspection: Bentley Gold Coast has done our best to disclose all information known about this vehicle for auction. Bentley Gold Coast welcomes a buyers inspection. If you plan to have a buyers inspection, please make sure you inspect the vehicle prior to the auction ending. Inspection fees if any are Buyers responsibility. Representations and Warranties made by seller: This vehicle is being sold "as is". Manufacturer's warranties may still apply. Extended warranty may be available, e-mail or phone Rich at (847) 778-5986 for details. No representations or warranties are made by seller, nor are any representations or warranties relied upon by bidders in making bids. Taxes and Registration fees: Out of state buyers are responsible for all state, county, city taxes and fees, as well as title service fees in the state that the vehicle will be registered. All taxes and fees must be paid in full in order for vehicle to be titled and registered. Title Information: Vehicles titles may be held by banks or lenders as collateral for loans. In many cases there is a delay in receiving the original instruments up to 21 days from the time we pay a vehicle off. While we usually have all titles in our possession at closing, there are occasions where we may be waiting for them to arrive. If payment is made by cashier's or personal checks we will hold all titles for 10 days or until funds have cleared. Shipping & Delivery: All shipping charges are buyer's responsibility. Bentley Gold Coast will help with shipping arrangements but will not be responsible in any way for claims arising from shipping damage!Licensed Carriers are generally insured for $3,000,000.00. We assume no responsibility for damages incurred after the vehicle leaves our showroom. All shipping arrangements are provided by Bentley Gold Coast as a courtesy. We are not affiliated with any carrier. Any claims or other communication regarding shipment of vehicles will be between you and the shipper, not with Bentley Gold Coast. The amount of time it takes for delivery is dependent on the carrier, but is generally 7-14 days from the date the vehicle is picked up from our facility until it is delivered to your destination. Verify with the shipper for an Estimate Time of Arrival to be sure. Finalizing your Purchase: Bentley Gold Coast will contact the successful high bidder by e-mail after the auction closes. Successful high bidder MUST communicate with Rich at Bentley Gold Coast by e-mail or phone (847) 778-5986 within 24 hours of the auction ending to make arrangements to complete their transaction. If we cannot confirm your intention to buy or the sale is not completed within 5 days, we reserve the right to relist this vehicle or sell to any other qualified buyer. In order to secure bid on vehicle, Successful bidder (BUYER) must within 24 hours of bid closing send to Seller a Deposit in the amount of 10% by major credit card, cash in person or bank certified funds. Within 72 hours of bid closing, Buyer must send balance of funds by bank wire transfer, cash in person, bank certified funds to Seller. At time of sending initial deposit, Buyer MUST fax copy of their State issued valid Driver License. Furthermore, before said vehicle is released for shipment to Buyer, all other Sale related and title related paperwork must be signed and returned complete to Seller.Fees There are 3 other fees associated with the transaction. Doc fee $168.43 ,$30.00 out of state drive-away tag and $50 for UPS Overnight (to and from) for the docs. Copyright © 2017 Auction123 - All rights reserved. - Disclaimer +- Auction123 (a service and listing/software company) and the Seller has done his/her best to disclose the equipment/condition of this vehicle/purchase. However, Auction123 disclaims any warranty as to the accuracy or to the working condition of the vehicle/equipment listed. The purchaser or prospective purchaser should verify with the Seller the accuracy of all the information listed within this ad. Selling a Vehicle? Create Professional Listings Fast and Easy. Click Here! Rich Yang (847) 778-5986 834 N Rush St Chicago Illinois 60611 ? ? ? ? 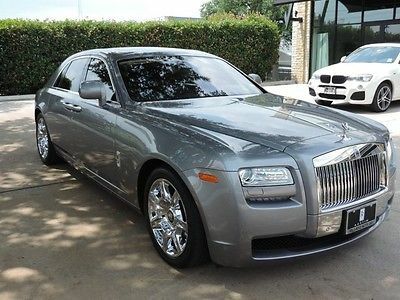 2013 Rolls-Royce Ghost Vehicle Information VIN: SCA664S52DUX52216 Stock: R324AA Mileage: 11,533 Color: Lazuli Blue Trans: A Engine: V12 6.6L MPG: 13 City / 21 Highway Drivetrain: RWD Contact Bentley Gold Coast 834 N Rush St Chicago Illinois 60611 View Map Ask for:Rich Yang Contact: ?Contact Us Primary Phone:(847) 778-5986 ? ? ?Credit Application ?Directions to Dealer ?Contact Us Options and Standard Features Options ? 2-Stage Unlocking Doors ? Abs: 4-Wheel ? Active Head Restraints: Dual Front ? Air Filtration ? Air Suspension ? Airbag Deactivation: Occupant Sensing Passenger ? Ambient Lighting ? Antenna Type: Diversity ? Anti-Theft System: Alarm ? Armrests: Rear Center With Pass-Thru ? Auxiliary Audio Input: Bluetooth ? Axle Ratio: 2.81 ? Body Side Reinforcements: Side Impact Door Beams ? Braking Assist ? Cargo Area Light ? Center Console Trim: Leather ? Center Console: Front Console With Storage ? Child Seat Anchors: Latch System ? Clock ? Compass ? Coolant ? Cornering Brake Control ? Cruise Control ? Crumple Zones: Front ? Cupholders: Front ? Dash Trim: Leather ? Dimming Rearview Mirror: Auto ? Door Trim: Leather ? Driver Seat Power Adjustments ? Driver Seat: Heated ? Electronic Brakeforce Distribution ? Electronic Parking Brake ? Emergency Interior Trunk Release ? Engine Oil ? Exhaust Tip Color: Chrome ? Exhaust: Dual Tip ? External Temperature Display ? Floor Mat Material: Premium Carpet ? Floor Mats: Front ? Front Air Conditioning Zones: Dual ? Front Air Conditioning: Automatic Climate Control ? Front Airbags: Dual ? Front Brake Diameter: 16.1 ? Front Brake Type: Ventilated Disc ? Front Bumper Color: Body-Color ? Front Headrests: 2 ? Front Seat Type: Bucket ? Front Seatbelts: 3-Point ? Front Spring Type: Pneumatic ? Front Stabilizer Bar ? Front Suspension Classification: Independent ? Front Suspension Type: Double Wishbone ? Front Wipers: Rain Sensing ? Gauge: Tachometer ? Grille Color: Silver ? Hard Drive ? Headlight Cleaners: Heated ? Headlights: Auto Delay Off ? Hill Holder Control ? Impact Sensor: Post-Collision Safety System ? In-Dash Cd: Mp3 Playback ? Interior Accents: Leather ? Knee Airbags: Dual Front ? Laminated Glass: Infrared-Reflecting ? Low Fuel ? Memorized Settings: 2 Driver ? Mirror Color: Body-Color ? Moonroof / Sunroof: Power Panoramic ? Multi-Function Display ? Multi-Function Remote: Keyless Entry ? Navigation System: Voice Recognition ? One-Touch Windows: 4 ? Parking Sensors: Front ? Passenger Seat Power Adjustments ? Passenger Seat: Heated ? Power Activated Trunk/Hatch: Open And Close ? Power Door Locks ? Power Steering: Variable/Speed-Proportional ? Power Windows ? Push-Button Start ? Radio Data System ? Radio: Am/Fm ? Reading Lights: Front ? Rear Air Conditioning Zones: Dual ? Rear Air Conditioning: Automatic Climate Control ? Rear Brake Diameter: 15.8 ? Rear Brake Type: Ventilated Disc ? Rear Bumper Color: Body-Color ? Rear Headrests: 2 ? Rear Seat Type: Bench ? Rear Seat: Heated ? Rear Seatbelts: 3-Point ? Rear Spring Type: Pneumatic ? Rear Stabilizer Bar ? Rear Suspension Classification: Independent ? Rear Suspension Type: Multi-Link ? Rear Vents: Second Row ? Regenerative Braking System ? Retained Accessory Power ? Run Flat Tires ? Satellite Radio: Siriusxm ? Seatbelt Force Limiters: Front ? Seatbelt Pretensioners: Front ? Self Leveling Suspension ? Side Airbags: Front ? Side Door Type: Soft Close ? Side Mirror Adjustments: Power ? Side Mirrors: Heated ? Stability Control: Electronic ? Steel Body Panels ? Steering Ratio: 19.9 ? Steering Wheel Mounted Controls: Audio ? Steering Wheel Trim: Leather ? Steering Wheel: Tilt And Telescopic ? Storage: Door Pockets ? Subwoofer: 2 ? Suspension Control: Electronic ? Taillights: Led ? Tire Pressure Monitoring System ? Tire Type ? Total Speakers: 14 ? Traction Control ? Trip Computer ? Turns Lock-To-Lock: 3.1 ? Upholstery: Premium Leather ? Vanity Mirrors: Dual Illuminating ? Warnings And Reminders: Lamp Failure ? Watts: 600 ? Wheel Spokes: Multi-Spoke ? Wheels: Alloy ? Window Defogger: Rear ? Window Trim: Chrome ? Wireless Data Link: Bluetooth Basic Information Stock Number: R324AA VIN Number: SCA664S52DUX52216 Make: Rolls-Royce Model: Ghost Model Year: 2013 Vehicle Type: Sedan Interior Color: Seashell Exterior Color: Lazuli Blue Body Type: Sedan Engine Compressor: Twin Turbo MPG Automatic City: 13 MPG Automatic Highway: 21 Engine Description: V12 6.6L Fuel Type: Gas Fuel Induction: Direct Gasoline Injection Valves Per Cylinder: 4 Aspiration: Twin-Turbocharged DriveTrain Driven Wheels: Rear-Wheel Transmission: A Wheels Rims: Silver Aluminum Drive Train Type: RWD Suspension Active Suspension Independent Suspension: Four-Wheel Leveling Suspension: 4-Corner Stabilizer Bar: Front And Rear Instrumentation Clock Compass External Temp Low Fuel Level Trip Computer Roof and Glass Front Wipers: Variable Intermittent Privacy Glass: Light Rear Defogger In Car Entertainment Antenna Type: Window Grid Audio System: Siriusxm AM/FM/HD/Satellite Speakers: 16 Seats Drivers: Multi-Level Heating Drivers Height: Power Drivers Lumbar: Power 4-Way Drivers Power: 8 Passenger: Multi-Level Heating Passenger Height: Power Passenger Lumbar: Power 4-Way Passenger Power: 8 Seating Capacity: 5 Front Seat Type: Bucket Upholstery: Leather Center Armrest Heated Convenience Center Console: Full With Covered Storage Cruise Control Cupholders: Front And Rear Door Pockets: Driver, Passenger And Rear Overhead Console: Mini Power Outlets: 3 Remote Trunk Release: Power Seatback Storage: 2 Steering Adjustment: Tilt And Telescopic Steering Power: Speed-Proportional Power Steering Auto Dimming Mirrors: Electrochromatic Power Mirrors: Power Remote W/Tilt Down Power Retractable Mirrors Reverse Tilt Mirror: Dual Mirrors Power Door Locks Windows: Power Windows Navigation System: With Voice Activation Phone Satellite Communication: Rolls-Royce Assist Memory Features Exterior Mirrors Memory Features Number Of Drivers: 2 Memory Features Steering Wheel Comfort Air Conditioning: Automatic Air Filtration: Interior Air Filtration Trunk Lights: Cargo Area Light Center Console Trim: Leather/Genuine Wood Dash Trim: Aluminum/Genuine Wood Door Trim: Genuine Wood Mats: Carpet Front And Rear Reading Lights: Front And Rear Steering Wheel Trim: Leather Vanity Mirrors: Dual Illuminated Vanity Mirrors Features Bumpers: Body-Colored Door Reinforcement: Side-Impact Door Beam Safety ABS: 4-Wheel Head Airbags: Curtain 1St And 2Nd Row Anti Theft System Brake Assist: Braking Assist Safety Locks Daytime Running Light Engine Immobilizer Headlights Auto Delay: Auto Delay Off Front Headrests: Manual Adjustable Rear Headrests: 2 Rear Center Seatbelt: 3-Point Belt Safety Stability Control Driver And Passenger Airbag Side Airbag Stability Control: Stability Control With Anti-Roll Door Reinforcement: Side-Impact Door Beam Towing and Hauling Tie Downs: Cargo Tie Downs Doors Rear Door Type: Power Close Trunk/Liftgate Side Door Type: Reverse Opening Dimensions Front Head Room: 40.6 Inches Front Shoulder Room: 59.4 Inches Front Leg Room: 41.7 Inches Rear Head Room: 39.0 Inches Rear Shoulder Room: 55.8 Inches Luggage Capacity: 14 Cu.Ft. Width: 76.7 Inches Height: 61.0 Inches Max Gross Vehicle Weight: 6,482 Lbs. ? Apply Now Secure Credit Application Applying for a vehicle loan online is one of the quickest and easiest application methods. Our secure application is easy to complete, all you need are a few personal and employment details. Terms Placing a Bid: Your bid constitutes a legally binding contract to purchase this vehicle. Please do not bid if you're not seriously interested or financially able to purchase this vehicle. Please read eBay's User AgreementBentley Gold Coast reserves the right to, Obtain and verify the registered information of all users who bid on this auction. Cancel any and all bids at our discretion, or end the auction early if necessary.Bidders Age: You must be 18 years of age or older to Bid. Special eBay Bid Retraction Rules: Please read eBay's "Retracting a Bid" If you place a bid before the last 12-hour period of the auction: You may retract that bid before that last 12-hour period but only for exceptional circumstances. You will not be allowed to retract that bid during the last 12-hour period of the auction. If you place a bid during the last 12-hour period of the auction: You will be allowed to retract the bid for exceptional circumstances but only if you do so within one hour after placing the bid.Funds & Financing: For help in arranging for a Pre-Approved loan or for any questions please e-mail or phone Rich at (847) 778-5986 prior to bidding. Buyers Inspection: Bentley Gold Coast has done our best to disclose all information known about this vehicle for auction. Bentley Gold Coast welcomes a buyers inspection. If you plan to have a buyers inspection, please make sure you inspect the vehicle prior to the auction ending. Inspection fees if any are Buyers responsibility. Representations and Warranties made by seller: This vehicle is being sold "as is". Manufacturer's warranties may still apply. Extended warranty may be available, e-mail or phone Rich at (847) 778-5986 for details. No representations or warranties are made by seller, nor are any representations or warranties relied upon by bidders in making bids. Taxes and Registration fees: Out of state buyers are responsible for all state, county, city taxes and fees, as well as title service fees in the state that the vehicle will be registered. All taxes and fees must be paid in full in order for vehicle to be titled and registered. Title Information: Vehicles titles may be held by banks or lenders as collateral for loans. In many cases there is a delay in receiving the original instruments up to 21 days from the time we pay a vehicle off. While we usually have all titles in our possession at closing, there are occasions where we may be waiting for them to arrive. If payment is made by cashier's or personal checks we will hold all titles for 10 days or until funds have cleared. Shipping & Delivery: All shipping charges are buyer's responsibility. Bentley Gold Coast will help with shipping arrangements but will not be responsible in any way for claims arising from shipping damage!Licensed Carriers are generally insured for $3,000,000.00. We assume no responsibility for damages incurred after the vehicle leaves our showroom. All shipping arrangements are provided by Bentley Gold Coast as a courtesy. We are not affiliated with any carrier. Any claims or other communication regarding shipment of vehicles will be between you and the shipper, not with Bentley Gold Coast. The amount of time it takes for delivery is dependent on the carrier, but is generally 7-14 days from the date the vehicle is picked up from our facility until it is delivered to your destination. Verify with the shipper for an Estimate Time of Arrival to be sure. Finalizing your Purchase: Bentley Gold Coast will contact the successful high bidder by e-mail after the auction closes. Successful high bidder MUST communicate with Rich at Bentley Gold Coast by e-mail or phone (847) 778-5986 within 24 hours of the auction ending to make arrangements to complete their transaction. If we cannot confirm your intention to buy or the sale is not completed within 5 days, we reserve the right to relist this vehicle or sell to any other qualified buyer. In order to secure bid on vehicle, Successful bidder (BUYER) must within 24 hours of bid closing send to Seller a Deposit in the amount of 10% by major credit card, cash in person or bank certified funds. Within 72 hours of bid closing, Buyer must send balance of funds by bank wire transfer, cash in person, bank certified funds to Seller. At time of sending initial deposit, Buyer MUST fax copy of their State issued valid Driver License. Furthermore, before said vehicle is released for shipment to Buyer, all other Sale related and title related paperwork must be signed and returned complete to Seller.Fees There are 3 other fees associated with the transaction. Doc fee $168.43 ,$30.00 out of state drive-away tag and $50 for UPS Overnight (to and from) for the docs. Copyright © 2016 Auction123 - All rights reserved. - Disclaimer +- Auction123 (a service and listing/software company) and the Seller has done his/her best to disclose the equipment/condition of this vehicle/purchase. However, Auction123 disclaims any warranty as to the accuracy or to the working condition of the vehicle/equipment listed. The purchaser or prospective purchaser should verify with the Seller the accuracy of all the information listed within this ad. Selling a Vehicle? Create Professional Listings Fast and Easy. Click Here! Rich Yang (847) 778-5986 834 N Rush St Chicago Illinois 60611 ? ? ? ? 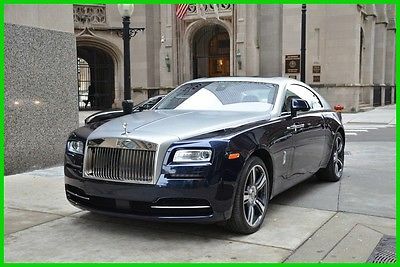 2015 Rolls-Royce Wraith Vehicle Information VIN: SCA665C53FUX85099 Stock: R341A Mileage: 4,037 Color: Midnight Sapphire Trans: A Engine: V12 6.6L MPG: 13 City / 21 Highway Drivetrain: RWD Contact Bentley Gold Coast 834 N Rush St Chicago Illinois 60611 View Map Ask for:Rich Yang Contact: ?Contact Us Primary Phone:(847) 778-5986 ? ? ?Credit Application ?Directions to Dealer ?Contact Us Options and Standard Features Options ? 2-Stage Unlocking Doors ? Abs: 4-Wheel ? Active Head Restraints: Dual Front ? Active Suspension ? Air Filtration ? Air Suspension ? Airbag Deactivation: Occupant Sensing Passenger ? Antenna Type: Diversity ? Anti-Theft System: Alarm ? Armrests: Rear Center Folding With Storage ? Auxiliary Audio Input: Bluetooth ? Axle Ratio: 2.81 ? Body Side Reinforcements: Side Impact Door Beams ? Braking Assist ? Cargo Area Light ? Center Console Trim: Leather ? Center Console: Front Console With Armrest And Storage ? Child Seat Anchors: Latch System ? Clock ? Compass ? Coolant ? Cornering Brake Control ? Cruise Control ? Dash Trim: Leather ? Daytime Running Lights: Led ? Digital Odometer ? Dimming Rearview Mirror: Auto ? Door Handle Color: Chrome ? Door Trim: Leather ? Driver Seat Power Adjustments: 8 ? Driver Seat: Heated ? Electronic Brakeforce Distribution ? Electronic Parking Brake ? Engine Oil ? Exhaust Tip Color: Chrome ? Exhaust: Dual Tip ? Exterior Entry Lights ? External Temperature Display ? Floor Mat Material: Premium Carpet ? Floor Material: Carpet ? Floor Mats: Front ? Front Air Conditioning Zones: Dual ? Front Air Conditioning: Automatic Climate Control ? Front Airbags: Dual ? Front Brake Diameter: 14.7 ? Front Brake Type: Ventilated Disc ? Front Bumper Color: Body-Color ? Front Headrests: 2 ? Front Seat Type: Bucket ? Front Seatbelts: 3-Point ? Front Spring Type: Pneumatic ? Front Stabilizer Bar ? Front Suspension Classification: Independent ? Front Suspension Type: Double Wishbone ? Front Wipers: Rain Sensing ? Fuel Economy Display: Mpg ? Grille Color: Chrome ? Hard Drive ? Headlight Cleaners: High Pressure Washers ? Headlights: Auto Delay Off ? Impact Sensor: Post-Collision Safety System ? In-Dash Cd: Mp3 Playback ? Interior Accents: Leather ? Knee Airbags: Dual Front ? Laminated Glass: Acoustic ? Low Fuel ? Memorized Settings: 2 Driver ? Mirror Color: Body-Color ? Multi-Function Display ? Multi-Function Remote: Keyless Entry ? Navigation System: Dvd ? One-Touch Windows: 2 ? Parking Sensors: Front ? Passenger Seat Power Adjustments: 8 ? Passenger Seat: Heated ? Power Activated Trunk/Hatch: Open And Close ? Power Brakes ? Power Door Locks ? Power Outlet(s): 12V Front And Rear ? Power Steering: Variable/Speed-Proportional ? Power Windows ? Push-Button Start ? Radio Data System ? Radio: Am/Fm ? Reading Lights: Front ? Rear Air Conditioning Zones: Dual ? Rear Air Conditioning: Automatic Climate Control ? Rear Brake Diameter: 14.6 ? Rear Brake Type: Ventilated Disc ? Rear Bumper Color: Body-Color ? Rear Headrests: 2 ? Rear Seat Type: Bucket ? Rear Seat: Heated ? Rear Seatbelts: 3-Point ? Rear Spring Type: Pneumatic ? Rear Stabilizer Bar ? Rear Suspension Classification: Independent ? Rear Suspension Type: Multi-Link ? Rear Vents: Second Row ? Retained Accessory Power ? Run Flat Tires ? Satellite Communications: Rolls-Royce Assist ? Satellite Radio: Siriusxm ? Seatbelt Pretensioners: Front ? Seatbelt Warning Sensor: Front ? Self Leveling Suspension ? Shift Knob Trim: Chrome ? Side Airbags: Front ? Side Curtain Airbags: Front ? Side Door Type: Soft Close ? Side Mirror Adjustments: Power ? Side Mirrors: Auto-Dimming ? Speed Sensitive Volume Control ? Stability Control: Electronic ? Steering Ratio: 19 ? Steering Wheel Mounted Controls: Audio ? Steering Wheel Trim: Leather ? Steering Wheel: Power Tilt And Telescopic ? Storage: Door Pockets ? Suspension Control: Electronic ? Taillights: Led ? Tinted Glass ? Tire Pressure Monitoring System ? Tire Type: Performance ? Total Speakers: 18 ? Traction Control ? Trip Computer ? Trip Odometer ? Turns Lock-To-Lock: 3.0 ? Universal Remote Transmitter ? Upholstery: Premium Leather ? Vanity Mirrors: Dual Illuminating ? Voice Recognition ? Warnings And Reminders: Lamp Failure ? Wheel Spokes: Multi-Spoke ? Wheels: Alloy ? Window Defogger: Rear ? Window Trim: Chrome ? 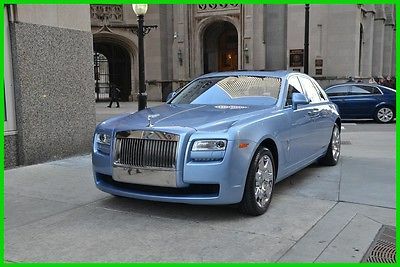 Wireless Data Link: Bluetooth Basic Information Stock Number: R341A VIN Number: SCA665C53FUX85099 Style Name: Coupe Make: Rolls-Royce Model: Wraith Model Year: 2015 Vehicle Type: Exotic Interior Color: Seashell Exterior Color: Midnight Sapphire Body Type: Coupe Engine Compressor: Twin Turbo MPG Automatic City: 13 MPG Automatic Highway: 21 Engine Description: V12 6.6L Fuel Type: Gas Fuel Induction: Direct Gasoline Injection Valves Per Cylinder: 4 Aspiration: Twin-Turbocharged DriveTrain Driven Wheels: Rear-Wheel Transmission: A Wheels Rims: Silver Aluminum Drive Train Type: RWD Suspension Active Suspension Independent Suspension: Four-Wheel Leveling Suspension: 4-Corner Stabilizer Bar: Front And Rear Instrumentation Clock Compass External Temp Heads Up Display Low Fuel Level Trip Computer Roof and Glass Front Wipers: Variable Intermittent Privacy Glass: Light Rear Defogger In Car Entertainment Antenna Type: Window Grid Audio System: Siriusxm AM/FM/HD/Satellite Speakers: 18 Seats Drivers: Multi-Level Heating Drivers Height: Power Drivers Lumbar: Power 4-Way Drivers Power: 8 Passenger: Multi-Level Heating Passenger Height: Power Passenger Lumbar: Power 4-Way Passenger Power: 8 Seating Capacity: 4 Front Seat Type: Bucket Upholstery: Leather Center Armrest Heated Convenience Center Console: Full With Covered Storage Cruise Control Cupholders: Front And Rear Door Pockets: Driver And Passenger Overhead Console: Mini Power Outlets: 3 Remote Trunk Release: Power Seatback Storage: 2 Steering Adjustment: Tilt And Telescopic Steering Power: Speed-Proportional Power Steering Auto Dimming Mirrors: Electrochromatic Power Mirrors: Power Remote W/Tilt Down Power Retractable Mirrors Reverse Tilt Mirror: Dual Mirrors Power Door Locks Windows: Power Windows Navigation System: With Voice Activation Satellite Communication: Rolls-Royce Assist Memory Features Exterior Mirrors Memory Features Number Of Drivers: 2 Memory Features Steering Wheel Comfort Air Conditioning: Automatic Air Filtration: Interior Air Filtration Trunk Lights: Cargo Area Light Center Console Trim: Leather/Genuine Wood Dash Trim: Aluminum/Genuine Wood Door Trim: Genuine Wood Mats: Carpet Front And Rear Reading Lights: Front And Rear Steering Wheel Trim: Leather Vanity Mirrors: Dual Illuminated Vanity Mirrors Features Bumpers: Body-Colored Door Reinforcement: Side-Impact Door Beam Safety Turning Circle: 41.6 ABS: 4-Wheel Head Airbags: Curtain 1St And 2Nd Row Anti Theft System Brake Assist: Braking Assist Daytime Running Light Engine Immobilizer Headlights Auto Delay: Auto Delay Off Front Headrests: Manual Adjustable Rear Headrests: 2 Safety Stability Control Driver And Passenger Airbag Side Airbag Stability Control: Stability Control With Anti-Roll Door Reinforcement: Side-Impact Door Beam Towing and Hauling Tie Downs: Cargo Tie Downs Doors Rear Door Type: Power Close Trunk/Liftgate Dimensions Front Head Room: 39.4 Inches Front Shoulder Room: 59.0 Inches Front Leg Room: 41.5 Inches Rear Head Room: 37.0 Inches Rear Leg Room: 36.9 Inches Rear Shoulder Room: 54.7 Inches Luggage Capacity: 17 Cu.Ft. Length: 207.9 Inches Width: 76.7 Inches Height: 59.3 Inches Wheelbase: 122.5 Inches Max Gross Vehicle Weight: 6,195 Lbs. Curb Weight: 5,380 Lbs. ? Apply Now Secure Credit Application Applying for a vehicle loan online is one of the quickest and easiest application methods. Our secure application is easy to complete, all you need are a few personal and employment details. Terms Placing a Bid: Your bid constitutes a legally binding contract to purchase this vehicle. Please do not bid if you're not seriously interested or financially able to purchase this vehicle. Please read eBay's User AgreementBentley Gold Coast reserves the right to, Obtain and verify the registered information of all users who bid on this auction. Cancel any and all bids at our discretion, or end the auction early if necessary.Bidders Age: You must be 18 years of age or older to Bid. Special eBay Bid Retraction Rules: Please read eBay's "Retracting a Bid" If you place a bid before the last 12-hour period of the auction: You may retract that bid before that last 12-hour period but only for exceptional circumstances. You will not be allowed to retract that bid during the last 12-hour period of the auction. If you place a bid during the last 12-hour period of the auction: You will be allowed to retract the bid for exceptional circumstances but only if you do so within one hour after placing the bid.Funds & Financing: For help in arranging for a Pre-Approved loan or for any questions please e-mail or phone Rich at (847) 778-5986 prior to bidding. Buyers Inspection: Bentley Gold Coast has done our best to disclose all information known about this vehicle for auction. Bentley Gold Coast welcomes a buyers inspection. If you plan to have a buyers inspection, please make sure you inspect the vehicle prior to the auction ending. Inspection fees if any are Buyers responsibility. Representations and Warranties made by seller: This vehicle is being sold "as is". Manufacturer's warranties may still apply. Extended warranty may be available, e-mail or phone Rich at (847) 778-5986 for details. No representations or warranties are made by seller, nor are any representations or warranties relied upon by bidders in making bids. Taxes and Registration fees: Out of state buyers are responsible for all state, county, city taxes and fees, as well as title service fees in the state that the vehicle will be registered. All taxes and fees must be paid in full in order for vehicle to be titled and registered. Title Information: Vehicles titles may be held by banks or lenders as collateral for loans. In many cases there is a delay in receiving the original instruments up to 21 days from the time we pay a vehicle off. While we usually have all titles in our possession at closing, there are occasions where we may be waiting for them to arrive. If payment is made by cashier's or personal checks we will hold all titles for 10 days or until funds have cleared. Shipping & Delivery: All shipping charges are buyer's responsibility. Bentley Gold Coast will help with shipping arrangements but will not be responsible in any way for claims arising from shipping damage!Licensed Carriers are generally insured for $3,000,000.00. We assume no responsibility for damages incurred after the vehicle leaves our showroom. All shipping arrangements are provided by Bentley Gold Coast as a courtesy. We are not affiliated with any carrier. Any claims or other communication regarding shipment of vehicles will be between you and the shipper, not with Bentley Gold Coast. The amount of time it takes for delivery is dependent on the carrier, but is generally 7-14 days from the date the vehicle is picked up from our facility until it is delivered to your destination. Verify with the shipper for an Estimate Time of Arrival to be sure. Finalizing your Purchase: Bentley Gold Coast will contact the successful high bidder by e-mail after the auction closes. Successful high bidder MUST communicate with Rich at Bentley Gold Coast by e-mail or phone (847) 778-5986 within 24 hours of the auction ending to make arrangements to complete their transaction. If we cannot confirm your intention to buy or the sale is not completed within 5 days, we reserve the right to relist this vehicle or sell to any other qualified buyer. In order to secure bid on vehicle, Successful bidder (BUYER) must within 24 hours of bid closing send to Seller a Deposit in the amount of 10% by major credit card, cash in person or bank certified funds. Within 72 hours of bid closing, Buyer must send balance of funds by bank wire transfer, cash in person, bank certified funds to Seller. At time of sending initial deposit, Buyer MUST fax copy of their State issued valid Driver License. Furthermore, before said vehicle is released for shipment to Buyer, all other Sale related and title related paperwork must be signed and returned complete to Seller.Fees There are 3 other fees associated with the transaction. Doc fee $168.43 ,$30.00 out of state drive-away tag and $50 for UPS Overnight (to and from) for the docs. Copyright © 2016 Auction123 - All rights reserved. - Disclaimer +- Auction123 (a service and listing/software company) and the Seller has done his/her best to disclose the equipment/condition of this vehicle/purchase. However, Auction123 disclaims any warranty as to the accuracy or to the working condition of the vehicle/equipment listed. The purchaser or prospective purchaser should verify with the Seller the accuracy of all the information listed within this ad. Selling a Vehicle? Create Professional Listings Fast and Easy. Click Here! Rich Yang (847) 778-5986 834 N Rush St Chicago Illinois 60611 ? ? ? ? 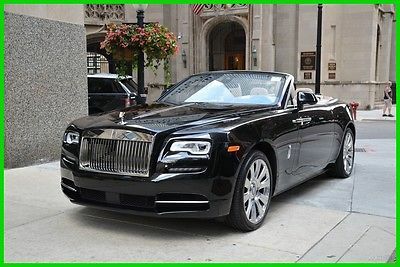 2016 Rolls-Royce Dawn Vehicle Information VIN: SCA666D50GU102118 Stock: L322A Mileage: 1,393 Color: Diamond Black Trans: A Engine: V12 6.6L MPG: 12 City / 19 Highway Drivetrain: RWD Contact Bentley Gold Coast 834 N Rush St Chicago Illinois 60611 View Map Ask for:Rich Yang Contact: ?Contact Us Primary Phone:(847) 778-5986 ? ? ?Credit Application ?Directions to Dealer ?Contact Us Options and Standard Features Options ? Head-Up Display ? 2-Stage Unlocking Doors ? Abs: 4-Wheel ? Active Head Restraints: Dual Front ? Active Suspension ? Air Filtration ? Air Suspension ? Airbag Deactivation: Occupant Sensing Passenger ? Antenna Type: Diversity ? Anti-Theft System: Alarm With Engine Immobilizer ? Armrests: Rear Center Folding With Storage ? Auxiliary Audio Input: Bluetooth ? Body Side Reinforcements: Side Impact Door Beams ? Braking Assist ? Cargo Area Light ? Center Console Trim: Leather ? Center Console: Front Console With Armrest And Storage ? Child Seat Anchors: Latch System ? Clock ? Compass ? Convertible Rear Window: Glass ? Convertible Roof: Power ? Coolant ? Cornering Brake Control ? Cruise Control: Adaptive ? Cupholders: Front ? Dash Trim: Leather ? Daytime Running Lights: Led ? Digital Odometer ? Dimming Rearview Mirror: Auto ? Door Handle Color: Chrome ? Door Trim: Leather ? Driver Assistance App: Roadside Assistance ? Driver Information System ? Driver Seat Power Adjustments: 8 ? Driver Seat: Heated ? Easy Entry: Manual Driver Seat ? Electronic Brakeforce Distribution ? Electronic Parking Brake ? Emergency Interior Trunk Release ? Engine Oil ? Exhaust Tip Color: Chrome ? Exhaust: Dual Tip ? Exterior Entry Lights ? External Temperature Display ? Floor Mat Material: Premium Carpet ? Floor Material: Carpet ? Floor Mats: Front ? Footwell Lights ? Front Air Conditioning Zones: Dual ? Front Air Conditioning: Automatic Climate Control ? Front Airbags: Dual ? Front Brake Diameter: 14.7 ? Front Brake Type: Ventilated Disc ? Front Bumper Color: Body-Color ? Front Headrests: 2 ? Front Seat Type: Bucket ? Front Seatbelts: 3-Point ? Front Shock Type: Gas ? Front Spring Type: Pneumatic ? Front Stabilizer Bar ? Front Suspension Classification: Independent ? Front Suspension Type: Double Wishbone ? Front Wipers: Rain Sensing ? Fuel Economy Display: Mpg ? Grille Color: Chrome ? Hard Drive ? Headlight Cleaners: High Pressure Washers ? Headlights: Adaptive ? Impact Sensor: Post-Collision Safety System ? In-Dash Cd: Mp3 Playback ? Knee Airbags: Dual Front ? Laminated Glass: Acoustic ? Low Fuel ? Memorized Settings: Driver Seat ? Mirror Color: Body-Color ? Multi-Function Display ? Multi-Function Remote: Keyless Entry ? Navigation System: Voice Recognition ? Night Vision Enhancement System ? One-Touch Windows: 2 ? Parking Sensors: Front ? Passenger Seat Power Adjustments: 8 ? Passenger Seat: Heated ? Phone: Voice Activated ? Power Activated Trunk/Hatch: Open And Close ? Power Brakes ? Power Door Locks ? Power Outlet(S): 12V Front And Rear ? Power Steering: Variable/Speed-Proportional ? Power Windows ? Pre-Collision Warning System: Audible Warning ? Push-Button Start ? Radio Data System ? Radio: Am/Fm ? Reading Lights: Front ? Rear Air Conditioning Zones: Dual ? Rear Air Conditioning: Independently Controlled ? Rear Brake Diameter: 14.6 ? Rear Brake Type: Ventilated Disc ? Rear Bumper Color: Body-Color ? Rear Door Type: Soft Close Trunk ? Rear Headrests: 2 ? Rear Seat Type: Bucket ? Rear Seatbelts: 3-Point ? Rear Shock Type: Gas ? Rear Spring Type: Pneumatic ? Rear Stabilizer Bar ? Rear Suspension Classification: Independent ? Rear Suspension Type: Multi-Link ? Retained Accessory Power ? Rollover Protection System ? Run Flat Tires ? Satellite Communications: Rolls-Royce Assist ? Satellite Radio: Siriusxm ? Seatbelt Pretensioners: Front ? Seatbelt Warning Sensor: Front ? Self Leveling Suspension ? Side Airbags: Front ? Side Mirror Adjustments: Power ? Side Mirrors: Auto-Dimming ? Speed Sensitive Volume Control ? Stability Control: Electronic ? Steering Wheel Mounted Controls: Audio ? Steering Wheel Trim: Leather ? Steering Wheel: Power Tilt And Telescopic ? Storage: Door Pockets ? Suspension Control: Electronic ? Taillights: Led ? Tire Pressure Monitoring System ? Tire Type ? Touch-Sensitive Controls ? Traction Control ? Trip Computer ? Trip Odometer ? Upholstery: Premium Leather ? Vanity Mirrors: Dual Illuminating ? Voice Recognition ? Warnings And Reminders: Lamp Failure ? Wheel Spokes: 7 ? Wheels: Alloy ? Window Defogger: Rear ? Window Trim: Chrome ? Wireless Data Link: Bluetooth Basic Information Stock Number: L322A VIN Number: SCA666D50GU102118 Style Name: Convertible Make: Rolls-Royce Model: Dawn Model Year: 2016 Vehicle Type: Exotic Interior Color: Oatmeal Exterior Color: Diamond Black Body Type: Convertible Engine Compressor: Twin Turbo MPG Automatic City: 12 MPG Automatic Highway: 19 Engine Description: V12 6.6L Fuel Type: Gas Fuel Induction: Gasoline Direct Injection Valves Per Cylinder: 4 Aspiration: Twin-Turbocharged DriveTrain Driven Wheels: Rear-Wheel Transmission: A Wheels Rims: Silver Aluminum Drive Train Type: RWD Suspension Active Suspension Independent Suspension: Four-Wheel Leveling Suspension: 4-Corner Stabilizer Bar: Front And Rear Instrumentation Clock Compass External Temp Low Fuel Level Trip Computer Roof and Glass Convertible Roof: Power Convertible Window: Glass Rear Window Front Wipers: Variable Intermittent Privacy Glass: Light Rear Defogger In Car Entertainment Antenna Type: Window Grid Audio System: Siriusxm AM/FM/HD/Satellite Speakers: 18 Seats Drivers: Multi-Level Heating Drivers Height: Power Drivers Lumbar: Power 4-Way Drivers Power: 8 Passenger: Multi-Level Heating Passenger Height: Power Passenger Lumbar: Power 4-Way Passenger Power: 8 Seating Capacity: 4 Front Seat Type: Bucket Upholstery: Leather Center Armrest Heated Convenience Center Console: Full With Covered Storage Cruise Control Cupholders: Front And Rear Door Pockets: Driver And Passenger Overhead Console: Mini Power Outlets: 3 Remote Trunk Release: Power Steering Adjustment: Tilt And Telescopic Steering Power: Speed-Proportional Power Steering Auto Dimming Mirrors: Electrochromatic Power Mirrors: Power Remote W/Tilt Down Power Retractable Mirrors Reverse Tilt Mirror: Dual Mirrors Power Door Locks Windows: Power Windows Navigation System: With Voice Activation Satellite Communication: Rolls-Royce Assist Memory Features Exterior Mirrors Memory Features Number of Drivers: 2 Memory Features Steering Wheel Comfort Air Conditioning: Automatic Air Filtration: Interior Air Filtration Trunk Lights: Cargo Area Light Center Console Trim: Leather/Genuine Wood Dash Trim: Aluminum/Genuine Wood Door Trim: Genuine Wood Mats: Carpet Front And Rear Reading Lights: Front Steering Wheel Trim: Leather Vanity Mirrors: Dual Illuminated Vanity Mirrors Features Bumpers: Body-Colored Door Reinforcement: Side-Impact Door Beam Safety Turning Circle: 41.6 ABS: 4-Wheel Anti Theft System Brake Assist: Braking Assist Daytime Running Light Engine Immobilizer Headlights Auto Delay: Auto Delay Off Front Headrests: Manual Adjustable Rear Headrests: 2 Safety Stability Control Driver and Passenger Airbag Side Airbag Stability Control: Stability Control With Anti-Roll Door Reinforcement: Side-Impact Door Beam Towing and Hauling Tie Downs: Cargo Tie Downs Doors Rear Door Type: Power Close Trunk/Liftgate Dimensions Luggage Capacity: 9 Cu.Ft. Length: 208.1 Inches Width: 76.7 Inches Height: 59.1 Inches Wheelbase: 122.5 Inches Max Gross Vehicle Weight: 6,700 Lbs. Curb Weight: 5,644 Lbs. ? Apply Now Secure Credit Application Applying for a vehicle loan online is one of the quickest and easiest application methods. Our secure application is easy to complete, all you need are a few personal and employment details. Terms Placing a Bid: Your bid constitutes a legally binding contract to purchase this vehicle. Please do not bid if you're not seriously interested or financially able to purchase this vehicle. Please read eBay's User AgreementBentley Gold Coast reserves the right to, Obtain and verify the registered information of all users who bid on this auction. Cancel any and all bids at our discretion, or end the auction early if necessary.Bidders Age: You must be 18 years of age or older to Bid. Special eBay Bid Retraction Rules: Please read eBay's "Retracting a Bid" If you place a bid before the last 12-hour period of the auction: You may retract that bid before that last 12-hour period but only for exceptional circumstances. You will not be allowed to retract that bid during the last 12-hour period of the auction. If you place a bid during the last 12-hour period of the auction: You will be allowed to retract the bid for exceptional circumstances but only if you do so within one hour after placing the bid.Funds & Financing: For help in arranging for a Pre-Approved loan or for any questions please e-mail or phone Rich at (847) 778-5986 prior to bidding. Buyers Inspection: Bentley Gold Coast has done our best to disclose all information known about this vehicle for auction. Bentley Gold Coast welcomes a buyers inspection. If you plan to have a buyers inspection, please make sure you inspect the vehicle prior to the auction ending. Inspection fees if any are Buyers responsibility. Representations and Warranties made by seller: This vehicle is being sold "as is". Manufacturer's warranties may still apply. Extended warranty may be available, e-mail or phone Rich at (847) 778-5986 for details. No representations or warranties are made by seller, nor are any representations or warranties relied upon by bidders in making bids. Taxes and Registration fees: Out of state buyers are responsible for all state, county, city taxes and fees, as well as title service fees in the state that the vehicle will be registered. All taxes and fees must be paid in full in order for vehicle to be titled and registered. Title Information: Vehicles titles may be held by banks or lenders as collateral for loans. In many cases there is a delay in receiving the original instruments up to 21 days from the time we pay a vehicle off. While we usually have all titles in our possession at closing, there are occasions where we may be waiting for them to arrive. If payment is made by cashier's or personal checks we will hold all titles for 10 days or until funds have cleared. Shipping & Delivery: All shipping charges are buyer's responsibility. Bentley Gold Coast will help with shipping arrangements but will not be responsible in any way for claims arising from shipping damage!Licensed Carriers are generally insured for $3,000,000.00. We assume no responsibility for damages incurred after the vehicle leaves our showroom. All shipping arrangements are provided by Bentley Gold Coast as a courtesy. We are not affiliated with any carrier. Any claims or other communication regarding shipment of vehicles will be between you and the shipper, not with Bentley Gold Coast. The amount of time it takes for delivery is dependent on the carrier, but is generally 7-14 days from the date the vehicle is picked up from our facility until it is delivered to your destination. Verify with the shipper for an Estimate Time of Arrival to be sure. Finalizing your Purchase: Bentley Gold Coast will contact the successful high bidder by e-mail after the auction closes. Successful high bidder MUST communicate with Rich at Bentley Gold Coast by e-mail or phone (847) 778-5986 within 24 hours of the auction ending to make arrangements to complete their transaction. If we cannot confirm your intention to buy or the sale is not completed within 5 days, we reserve the right to relist this vehicle or sell to any other qualified buyer. In order to secure bid on vehicle, Successful bidder (BUYER) must within 24 hours of bid closing send to Seller a Deposit in the amount of 10% by major credit card, cash in person or bank certified funds. Within 72 hours of bid closing, Buyer must send balance of funds by bank wire transfer, cash in person, bank certified funds to Seller. At time of sending initial deposit, Buyer MUST fax copy of their State issued valid Driver License. Furthermore, before said vehicle is released for shipment to Buyer, all other Sale related and title related paperwork must be signed and returned complete to Seller.Fees There are 3 other fees associated with the transaction. Doc fee $168.43 ,$30.00 out of state drive-away tag and $50 for UPS Overnight (to and from) for the docs. Copyright © 2016 Auction123 - All rights reserved. - Disclaimer +- Auction123 (a service and listing/software company) and the Seller has done his/her best to disclose the equipment/condition of this vehicle/purchase. However, Auction123 disclaims any warranty as to the accuracy or to the working condition of the vehicle/equipment listed. The purchaser or prospective purchaser should verify with the Seller the accuracy of all the information listed within this ad. Selling a Vehicle? Create Professional Listings Fast and Easy. Click Here! 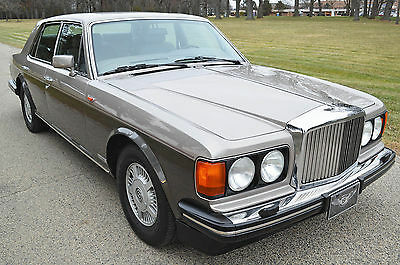 Beautiful Silver Shadow 2 owned sins 2008 AC and Wiper don`t work. mileage don`t no. For more details please contact meFrank 954 330 1713Pompano Beach FL Sold as is Please note, I want to make sure that you are absolutely satisfied with your purchase. Bid with confidence and if you have any questions that I might not have covered in the description, don't hesitate to ask. You can email me or send me your telephone number and I will give you a call. ShippingBuyer is responsible for shipping costs. I can cooperate with your shipper. This vehicle is advertised on other sites so I have the right to end the auction early if it gets sold. I'm not a dealer, just a very passionate collector of classic cars and trucks. PaymentPlease be ready to buy when you click. A non-refundable $500 deposit is due when the auction ends and final payment within 7 days. Balance is to be paid by bank wire or a certified bank cashier's check. Check will need to clear before the vehicle will be released and title is sent. The winning bidder needs to contact me within 24 hours of auction end to make payment arrangements. Please arrange all financing prior to bidding. If you are not sure about something, please ask. Do not assume anything. I'm very easy going and will help in any way I can, but please be absolutely sure that you are ready to buy when you bid. All non-paying bidders will be reported to eBay. DisclaimerPeople have different opinions and expectations of older cars. It is your responsibility to inspect the vehicle or send a third party inspector for your satisfaction. 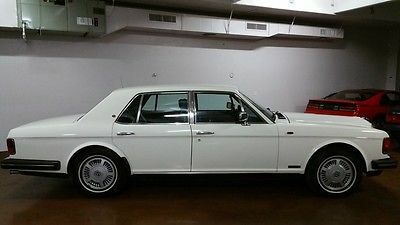 Remember, this car is from 1979 and can have some imperfections that are not in the description that I'm not aware of.